A Prophecy Forgotten is now available in India through www.flipkart.com! You can purchase A Prophecy Forgotten and have it delivered anywhere in India by clicking here! Fantasy novelist M. B. Weston is the author of The Elysian Chronicles, a fantasy series about guardian angel warfare and treason, which is being adapted into a graphic novel series by Wandering Sage Publications, Inc., with Weston penning the script and KISS comic book artist, Adam Black, doing the art. Weston hosts a podcast on her To Elysia and Back Again blog, which can be downloaded on itunes. Click here for a complete listing of the To Elysia and Back Again podcast episodes. Weston also hosts two radio talk shows: The Final Cut in Movies, an internet radio talk show about science fiction and fantasy movies on Ad Astra Radio, which can also be heard as a podcast on M. B. Weston's Podcasts site or on iTunes and Culture Watch Radio, a show that reviews movies, books, and TV shows from a Christian perspective, on southwest Florida's Praise FM 89.5. Weston is a speaker who talks to children, teens, and adults about writing and the world of publishing. For more information on M. B. Weston, visit her personal blog, To Elysia and Back Again, at www.mbwestonblog.com. 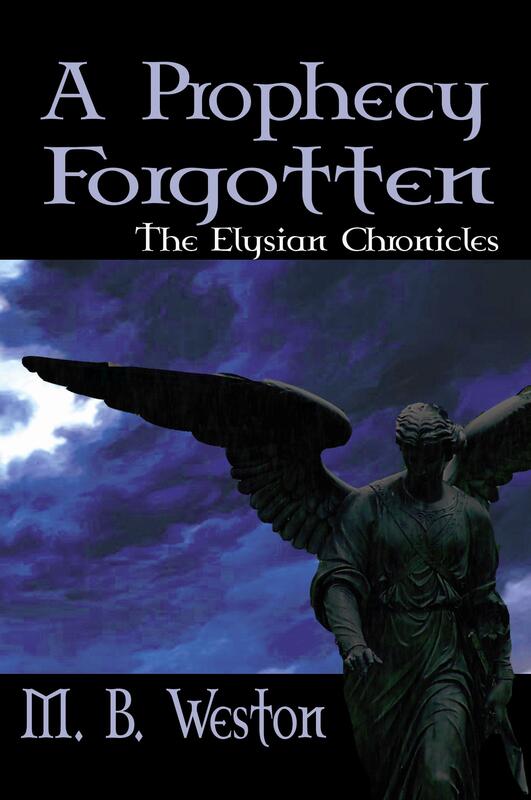 Find out more about The Elysian Chronicles at www.elysianchronicles.com. This entry was posted in News & Events and tagged 89.5, Ad Astra Radio, angel, Books, Christian, Culture Watch Radio, Elysia, Elysian Chronicles, fantasy, graphic novel, guardian angel, M. B. Weston, movies, podcast, Praise FM, publishing, science fiction, speaker, The Final Cut, To Elysia and Back Again, TV Shows, warfare, writing. Bookmark the permalink.